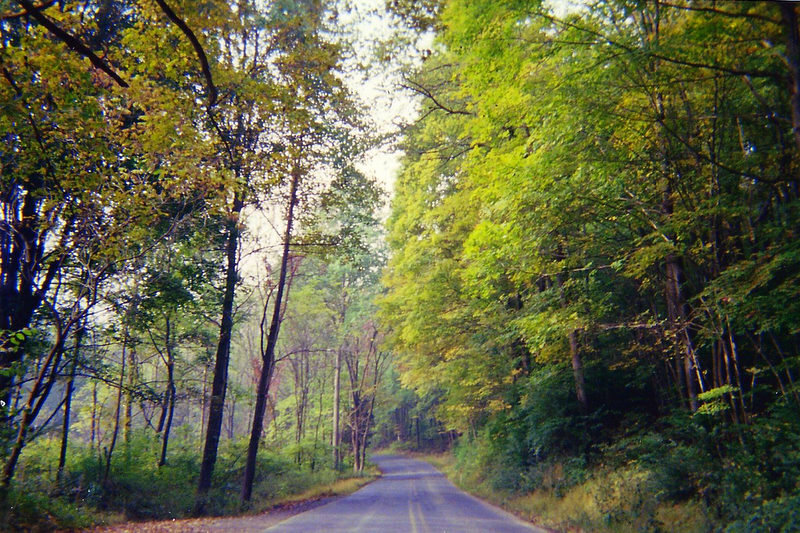 Old Mine Road expands a length of 104 miles; it stretches from Pahaquarry, New Jersey in the Delaware Water Gap National Recreation Area to Kingston, New York. 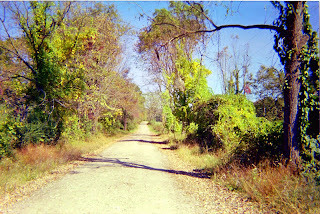 Portions of this old road are paved, graveled (and very narrow) and absorbed by highway 209. It’s also known as ‘“The King’s Highway”. What makes this 104 mile stretch of road so fascinating? It is the immense history that goes back at least 300 years. 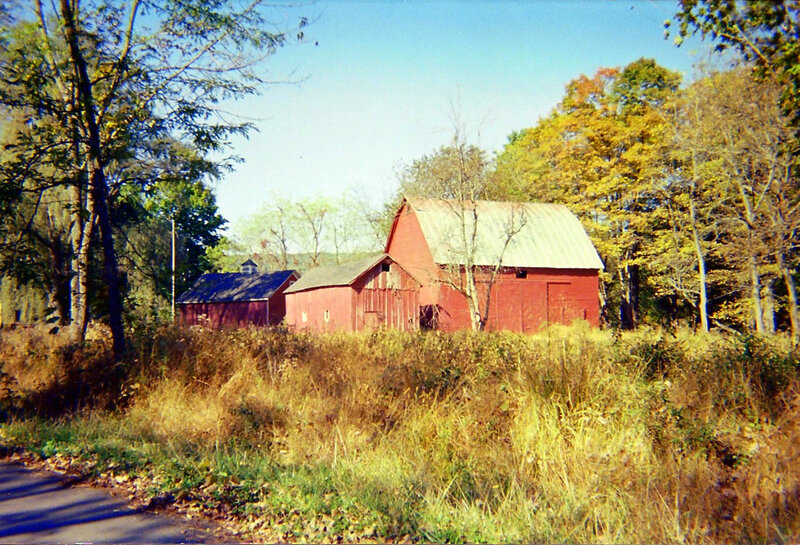 Along this road follows the Delaware River where there are towns that boasts of its own history, ruins of milling plants, old stone houses, and wonderful aged barns. Several of these structures are being preserved under the National Register of Historic Places. There is the Old Millbrook Village which is a living history of buildings that have been constructed as if the era of time is 1850's. The village still has some of the old original structures, recreated or moved from other locations. There are many points of interest along the way and is a scenic and beautiful drive. Old history books claim that the road was constructed to haul ore from the area of Pahaquarry Copper Mines to Esopus for shipment to Holland. From there it could be shipped down the Hudson River and to Holland. Old accounts describe that the Dutch arrived here before Penn's Charter and worked their way down to Pahaquarry and mined for Copper but archaeology only shows that the mines were just opened for exploration and feasibility. As for Old Mine Road, regardless of when it was built or who was responsible for building it, the road does have a great deal of historical significance. General Gates marched seven regiments of men down the road to meet General Washington prior to his crossing the Delaware. These troops were important to Washington's victory at Trenton in 1777. I was so fortunate in October 2004 to have the opportunity to visit the Tri-State area of Pennsylvania, New Jersey and New York. I had began my solo journey in Northampton and Monroe Counties, Pennsylvania, traveled up to Wyoming County and cross over to Warren & Sussex Counties, New Jersey and up along the Old Mine Road and ended up at the Minisink Valley Historical Society in Port Jervis, New York. 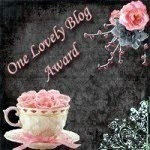 Each of the societies was so welcoming to me and helpful. I really want to mention the Wyoming County Historical Society that is located in Tunkhannock, Pennsylvania. They have done a tremendous job working with the court house in indexing deeds, wills, obituaries and much, much more. They have spent a lot of man hours with these projects. I even broke through a “brick wall” that would have never been discovered otherwise. Besides my wanting to go and check out the various societies, I knew that to make my trip complete was to take the drive along Old Mine Road since some of my ancestors resided in townships along it. 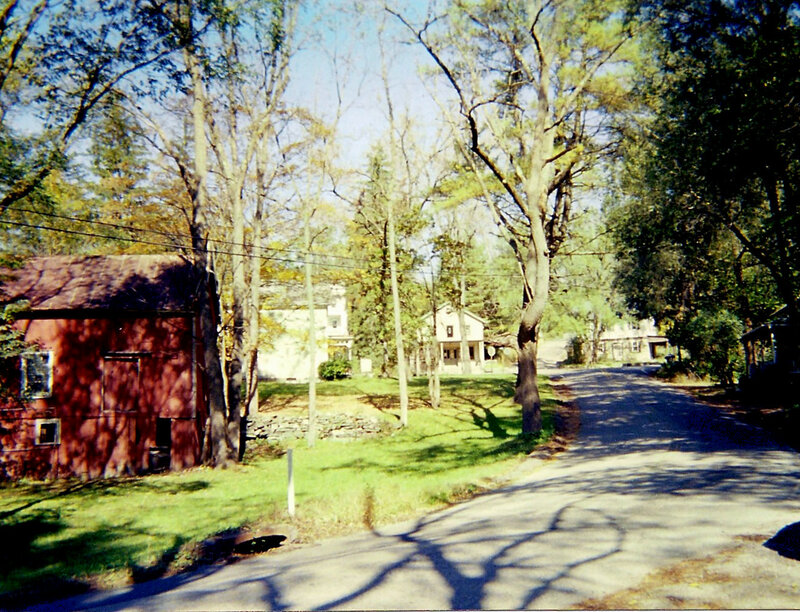 The road follows through the township of Hardwick (New Jersey) where my ancestor, John Tillman's earliest record that I have located dates back to 1793. John remains a mystery at this point of time. His son, Joseph Tillman who is my direct line, was born in that area 1792. Joseph was the enumerator for the 1840 census of Warren County. His job was to take the census for the townships of Hardwick, Hope, Independence and Knowlton. Joseph Tillman died 1865 in Pahaquarry which is now absorbed by Hardwick. One of my brick walls is trying to locate the burial places of them. I am unsure at this time what their origins are, I suspect Holland. My Depuy/Depue ancestors who were French Huguenots (possibly originally from Holland) came to the U.S. around the mid 1600's and settled in the Albany, New York area and belonged to the Dutch Reformed Church. Some of this clan of people worked their way down toward the Minisink area of New York and New Jersey. Near Montague, NJ along Old Mine road, is the Minisink Reformed Church. 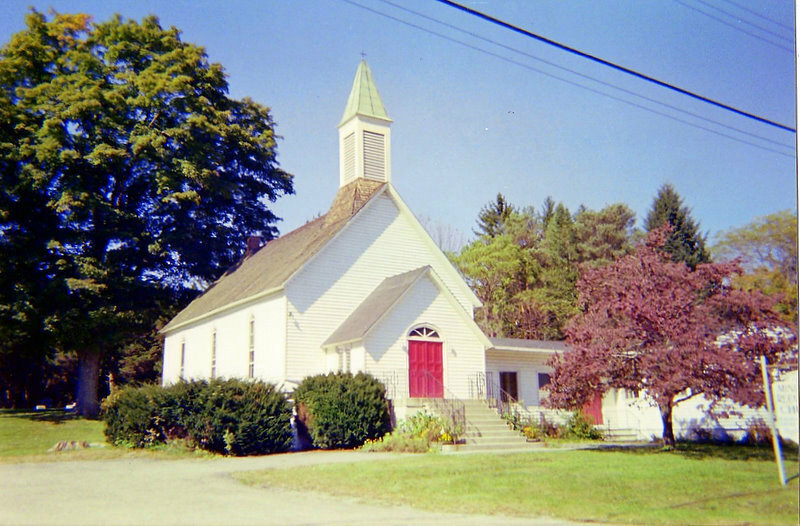 Founded in 1737, Minisink Reformed Church is the oldest congregation in Sussex County. 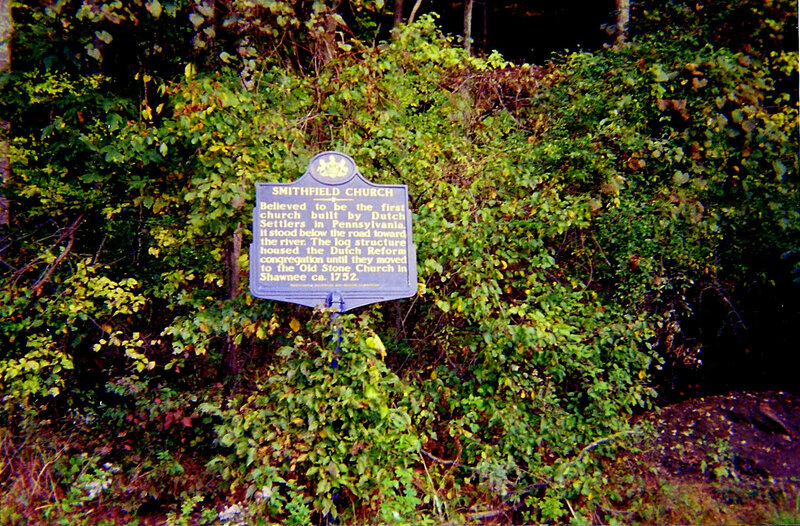 They are located at 346 River Road (part of the Old Mine Road), at the northern end of the state. Their current church facility, which rests within the bounds of the Delaware Water Gap National Recreation Area, was built in 1898. Many of my Depue's baptisms, marriages are recorded in the old church records. 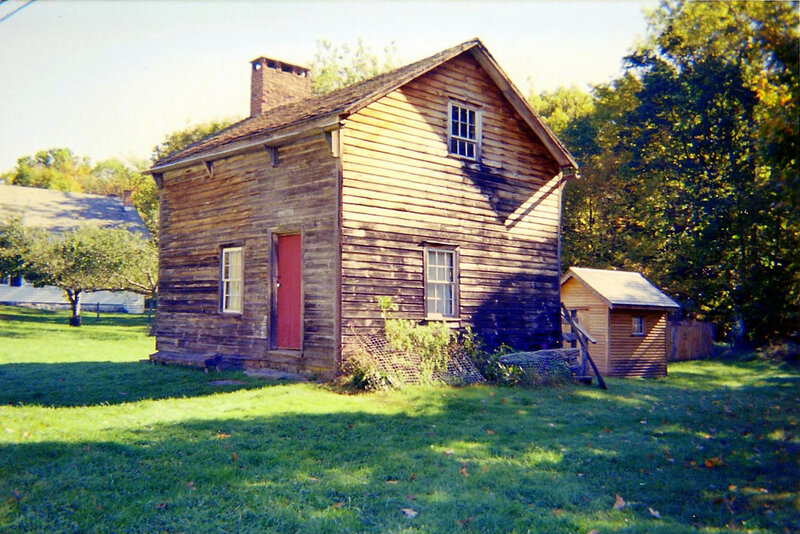 The earliest settler noted in the local history books, was one Samuel Dupuis a collateral ancestor who gave a good account of the early settlement of the area. My Depue’s settled in what is now Monroe County, Pennsylvania. Monroe County is situated across the Delaware River from Warren County, New Jersey. The Smithfield Reformed Church in Monroe County also kept church records where I discovered the birth of Elizabeth Detrick who married David H. Tillman, son of Joseph. On my journey, which I had started early that morning on a clear, frosty autumn day I approached the charming, historic village of Millbrook. As I marveled at how the feeling of stepping back in time overtook my senses, I became aware that I was maybe alone in this remote place. I parked my car and cautiously got out with camera in hand and approached one of the historic buildings to look at it closer up. I saw a gentleman in the rear and he being elderly and not looking too much like a threat, I called out to him. He answered me and I told him what I was doing and that I had ancestors who had lived in that area more than 200 years ago and my extreme interest in the area, he responded with kindness and ended up taking me on a personal tour and was so delightful and enjoyed speaking about each building and was a wealth of information. In this little township, one of the historic homes is called the “Depue’s Shoemaker” House. This particular building was moved from another location. I wasn’t directly related to the Depue who had built it, but rather a collateral relation to my line. As I continued on my drive, I drove slowly on this dirt road that at times could be quite narrow, I daydreamed about times past and what has changed in the landscape. 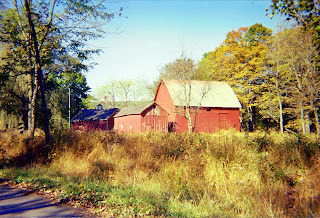 I passed old barns that evoked of a previous life, cornfields and historic homes. The autumn colors’ shining through the trees was a sight to behold. There were times on that road as I absorbed all that was around me and experienced such waves of overwhelming emotion that is almost hard to describe. I felt like I totally connected with my ancestors of that area and even now as I write this, I am still overcome. This trip was almost a pilgrimage or a homecoming to something I had never knew in reality but painted a picture for my research of this interesting part of my heritage. I hope to capture this sort of feeling when I get the chance again to explore other family lines in other regions of this great Country of ours. Recently I have changed my work schedule to 4 ten hour days with Monday being an extra day off. Since I have been very frustrated with finding the time to go on genealogy field trips, I decided to take my extra day off and once a month to go to libraries, archives and etc. My first Monday off, I trekked over to Hillsboro (Oregon) to visit the public library which is an hour long drive. Since I was in the neighborhood, Hillsboro being the county seat for Washington County, I had been wanting to go to the County Clerk's Office and pick up the marriage record of my great grandparents. Earlier in the week I emailed the office to ask if they housed those records and the procedure on how to get the record. A nice email came back and asked me for the names of who I was looking for so I answered them and got a fairly quick response with the book and page number. I printed the email and took it with me to their office and in a few minutes they printed off a microfilmed copy of the record and I paid them $4.00. These folks were very pleasant. The information on the record didn't give me any new data, but now I have the proof. The purpose of my visit to the library was that I knew that they had the microfilmed newspaper called the "Hillsboro Argus" and for a long time I have wanted to get copies of the obituaries of 2 sets of great great grandparents and great grandparents and their siblings. My May and Hutchison families arrived in Washington County around 1886 and a good group of them are buried in the Arcade Cemetery which you can find the stones and inscriptions on "Find-a-Grave". Several of these families had settled in the little communities in the county and had died there as well. I knew that I could learn more about where the children lived and married names for the daughters. Going on a Monday had great advantages! It was quiet and not so busy. The reference desk was so helpful and patient and helped me set up my films, and even sold me a flash drive so that I could download the records right onto the drive. Brilliant me, not even thinking about that! Being armed with death dates and systematically looking through the films, I found a good portion of who I was looking for. I ended up with 18 obits all in all. Was this an easy project? At times it was. The newspaper was published weekly for decades so that narrowed down the search tremendously. Other times, the film was extremely blurry and even trying to focus the reader didn't help matters. For years they fitted the death notices all over the paper probably wherever they had space. That made it very hard to scan and find them. Death place. Was not aware he died in the hospital or which one. I was mistaken in learning that he died in another county and city. Big correction for my records. 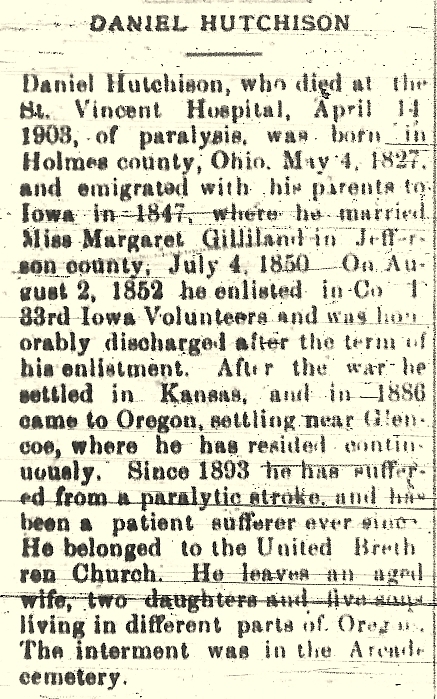 Did not know he died of paralysis and suffered from a stroke in 1893. 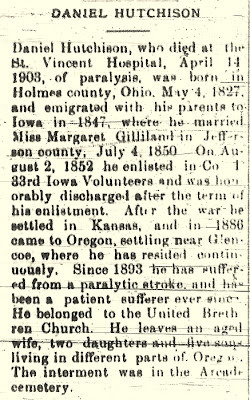 I knew from the 1880 and 1900 censuses that he was not in good health. Reafirmation of death date. Civil War pension file stated date of death and so did his gravestone. 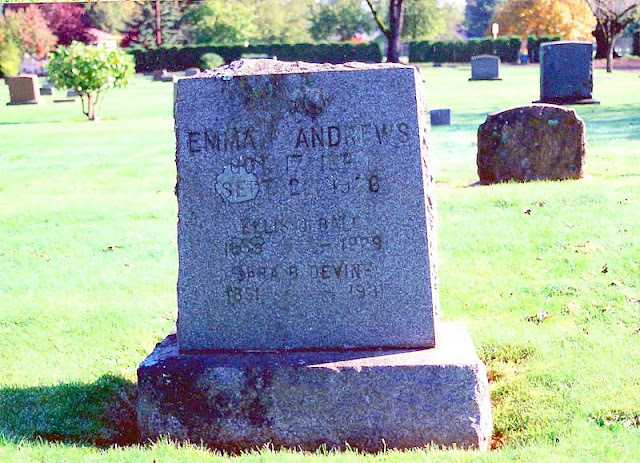 Oregon began recording death dates in 1903 just after he died no death certificate has been found. Did not know he belonged to the United Brethren Church. Marriage date and to whom and where. This would have been a great find if the record had not been located earlier. Birth date and place. 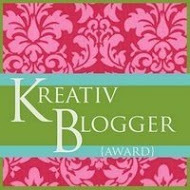 Very valuable resource! Secondary source but great to have. My May and Hutchison families arrived in Washington County around 1886 and a good group of them are buried in the Arcade Cemetery which you can find the stones and inscriptions on "Find-a-Grave". Several of these families had settled in the little communities in the county and had died there as well. The 4 Hutchison children married 4 May children which produced 4 sets of double cousins! Later family married 2nd cousins. Taking the time to research original records can glean much information in learning more about your family. These newspapers are not likely to be digitized anytime soon. If they are, I can fine tune my search and look for daily ancedotes and their more day to day activities. I wish I could have read everyone of those older newspapers! Ellis Judson Ball was born in Kankakee, Illinois in 1855 married to Grace Randall and Evora Hawkins two children surviving to adulthood died on 6 June, 1929 in Salem, Oregon. 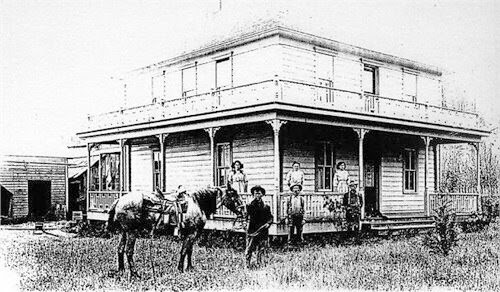 Andrew Smalley House on Hall's Creek Road near Arago, Coos County, Oregon. My Paternal Grandmother, Etta Mae Smalley was born in Arago, Coos County, Oregon to parents Andrew Smalley and Emma Tillman the last of 14 children. She was first married to James Albert Claude Freeman in 1923 and had 8 children two of them twin boys who died in infancy. 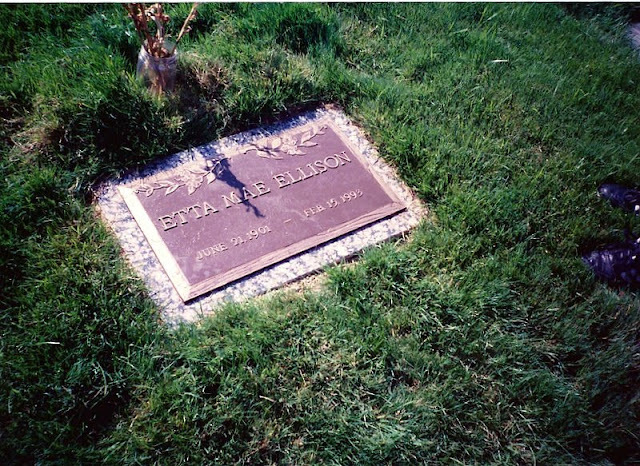 That marriage ended in divorce in the 1940's and remarried in 1953 to Arthur Ellison. She is buried at Hillcrest Memorial Park in Medford, Jackson County, Oregon. Jane Kelly was born by most accounts in County Antrim, Ireland. The day was 12 October 1749. Her parents were Matthew Kelly and Jane Brown. The Kelly Family and Widow Hutchison with her children made a perilous journey together by ship and secured drinking water by hanging out their blankets. A grandson, Joseph Hutchison wrote an account of the Family history which claims that the Families arrived in 1754, but not very clear on whether that is true or if a ship's manifest has been found. I do believe that the two families traveled together. They first landed and settled in York County, Pennsylvania where in 1776 Jane Kelly and James Hutchison were married. They became the parents of 10 children with 8 surviving to adulthood. From York County, they removed to Westmoreland County where in 1810, Matthew Kelly died. Not is much known of the Kelly Family or the other Hutchison Family members. James served in the Revolutionary War in a Militia Unit. 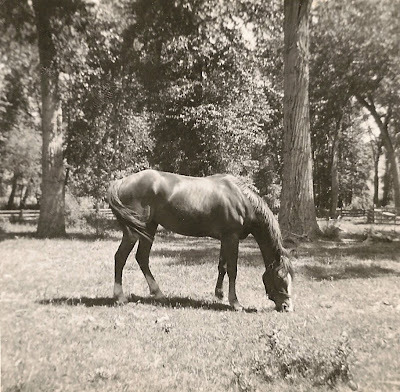 From about the very early 1800's they moved to Ohio, to Wayne County. James passed away in 1817 and Jane lived with family members until the day she died 15 April, 1845. Their descendants are many and there are several of them researching. I find this obituary a real treasure and found this last year. It tells about her countenance and this is something you don't find too often. 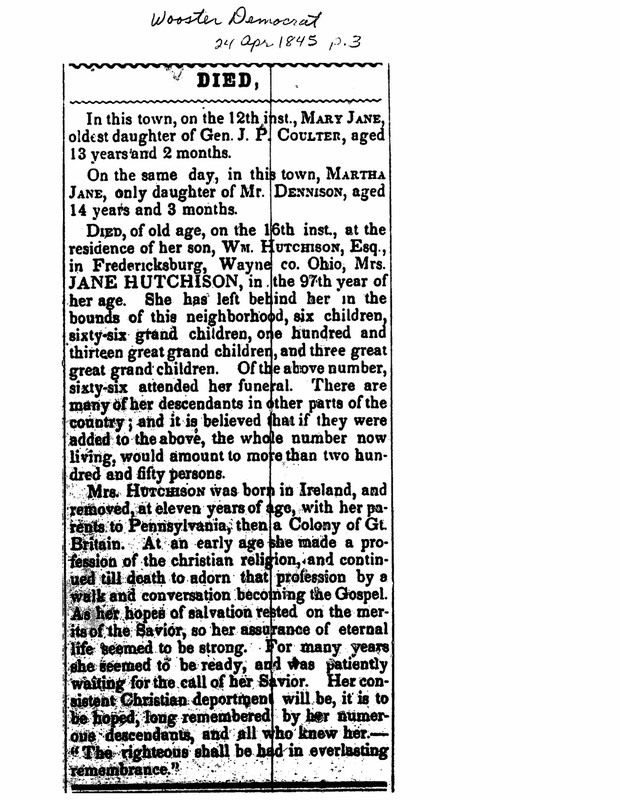 I hope someday to be able to extensively research this family and learn more about their life in Pennsylvania.